Woody Harrelson Did What at the World Chess Championship???! !I mean this question literally. Can someone please explain what he did. LBJ Trailer: Woody Harrelson Debuts His Southern President, Y’allWith Jennifer Jason Leigh as his First Lady. 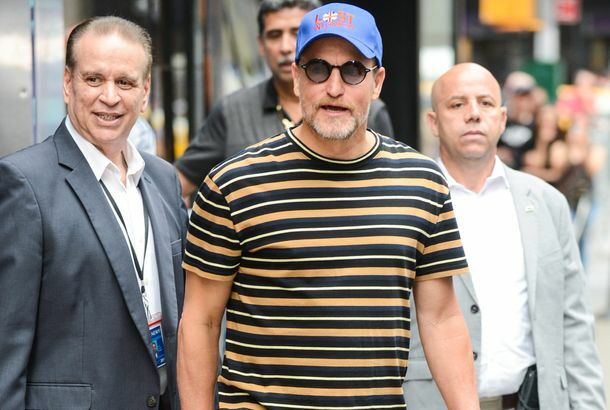 Instagram Poet Woody Harrelson Isn’t Afraid to Wear Flip-flops on TVHe was walking around New York with a green juice in a mason jar. Brie Larson Gets Emotional in the First Trailer for The Glass CastleBrie Larson has her serious hair on. 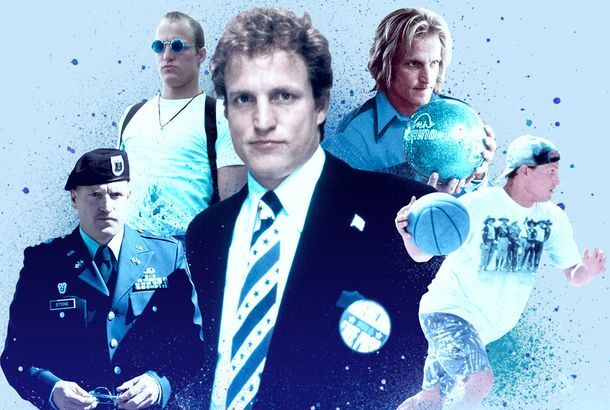 Woody Harrelson Is Hollywood’s Girl-Squad Fairy GodmotherStep aside, Taylor Swift. Watch Woody Harrelson Be Your Worst Nightmare in This Exclusive Clip From WilsonThe Daniel Clowes adaptation opens Friday. Woody Harrelson Has Quit Pot and Is Learning How to Be Quiet On CameraThe Wilson star says the drug was making him emotionally unavailable. Woody Harrelson Takes Han Solo Movie Mentor RoleHe can tell Han he needn’t fly solo. Woody Harrelson Will Make a Movie Live As It Airs in TheatersMore ambitious than your average Facebook Live session. Woody Harrelson Signs On for Iraq War FilmThe film centers on a group of journalists who looked into stories about weapons of mass destruction. Naomi Watts May Play the Mom in The Glass CastleYou should probably read the book now. Woody Harrelson Applies for Pot LicenseTrue Detective season 3? Which Leading Actor Will Beat Jon Hamm for an Emmy This Year?Everyone loves Jon Hamm. Except for Emmy voters. Cheers’ History of Leg-Wrestling and ShroomsMan, Cheers is the best. See Woody Harrelson In an Exclusive Seven Psychopaths PosterHe gets his own poster for Martin McDonagh’s upcoming black comedy. Photos: Woody Harrelson’s Bullet for AdolfThe cast takes Harrelson’s yoga class. See New Stills From Magic Mike With Matthew McConaughey and Channing TatumThe private screening at your bachelorette party is going to be off the hook! Woody Harrelson Eyeing Out of the FurnaceWho won’t be in Scott Cooper’s next movie? Jack McBrayer Imitated How Tracy Morgan Plays ‘Words With Friends’Plus: Woody Harrelson started up some nice casual conversation during gang busts on his LAPD ride-alongs, and more, on our daily late-night roundup. Movie Review: Woody Harrelson Anchors the Feverish RampartDon’t look for easy resolutions or clear narrative lines here. Thoughts on the Eight New Character Posters for The Hunger GamesThere’s a lot to discuss here.